Since memory goes down the lane, vitamin D is often referred to as the “sunshine” vitamin for the simple fact that our skin stands to benefit when we are out in the sun. Needless to say, this vitamin is essential for normal growth and development. Severely low levels of vitamin D can result in soft, brittle bones, bone pain and muscle pain coupled with weakness. People over the age of 50 have an increased risk of vitamin D deficiency and this risk increases with age. Vitamin D is also essential to control the amount of calcium in our blood since our body uses Vitamin D to absorb this mineral. However, it is Vitamin K that ensures that the calcium ends up in our bones instead of in the arteries. Strong Bones – vitamin D is responsible for the absorption of calcium and it’s been shown to greatly reduce the risk of fracture in two ways. First, it helps with the formation of stronger bones and secondly, vitamin D helps to maintain balance and thus prevents falling by enhancing muscle contraction. Weight loss – Deficiency of vitamin D makes us feel hungry all the time irrespective of how much we have eaten. This is so because low levels of vitamin D interferes with the effectiveness of leptin, the appetite hormone that tells us about our ‘fullness’ quotient. Memory – Our brain tissues consist of vitamin D receptors which suggest that this vitamin plays a role in cognitive function and potentially, the risk for dementia. By virtue of its inherently contained antioxidant properties, vitamin D helps to protect brain function since it stimulates proteins that are important for nerve cell function. Immune System – Vitamin D helps regulate as well as protect our immune system. 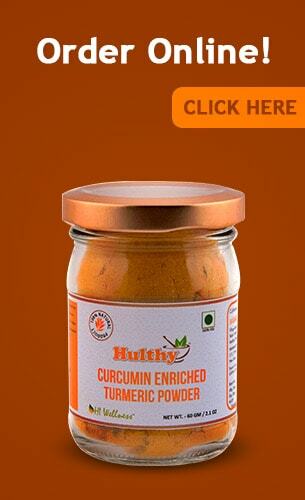 It allows our bodies to absorb calcium effectively. Deficiency in vitamin D is associated with increased autoimmunity to an increased susceptibility to infection. 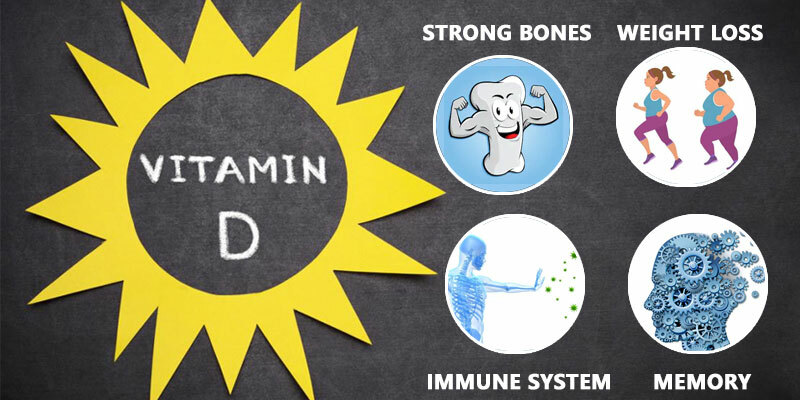 Vitamin D turns on key peptides in the immune system that triggers a strong anti-microbial response, allowing us to quickly and effectively fight off foreign elements before they can develop into a full-blown infection. Food – There are few foods that inherently contain vitamin D. In the winter season, it may be necessary to get more of our dose of vitamin D from foods since sunshine is limited. Food Sources of vitamin D are cod liver oil, salmon, mackerel, tuna, beef liver, cheese, and egg yolks. Adding ghee in cooking will make the food rich in vitamin D.
Sunlight – Exposure to about five to thirty minutes of sunshine (without using sunscreen) during peak hours I.e. 10 a.m. to 3 p.m, twice a week on our face, hands and arms are adequate to meet our needs. Remember that the sunscreen with SPF of 30 can block 95 to 99 percent of vitamin D production. However, after five to thirty minutes of exposure, ensure that a sunblock or a cover-up is applied to prevent damage to the skin.